Even younger fans of LARP and historical reenactment can look stylish in their protective armour. The Tobi Leather Bracers feature decorative rivets on the top and bottom cuffs, as well as along a horizontal band at their centers. 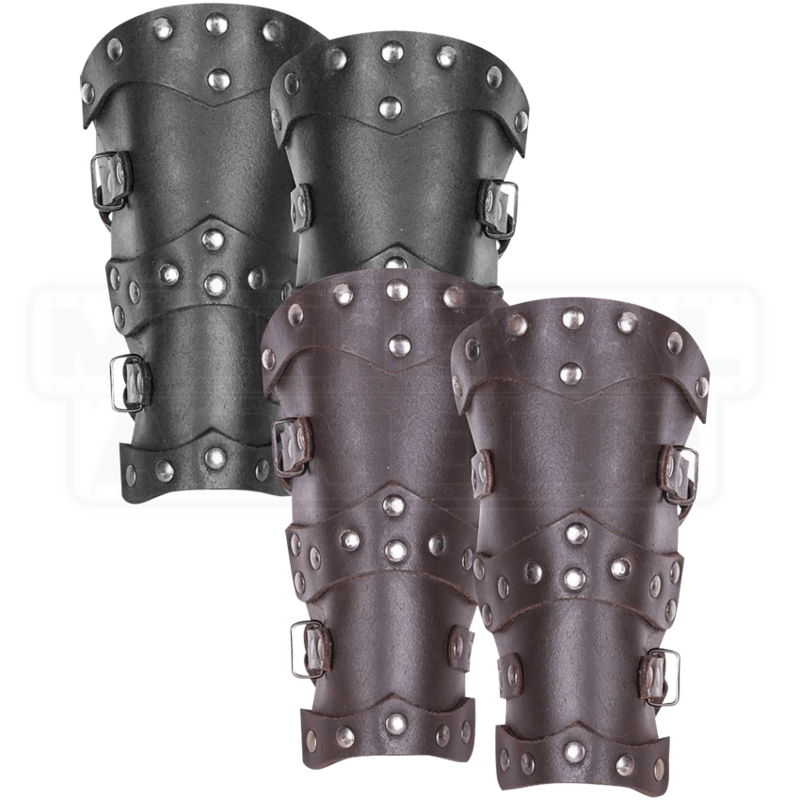 These medieval inspired bracers are attached at the back of the forearm with two adjustable buckled straps, allowing a custom fit that can be adjusted to young wearers as they grow. They pair nicely with the matching Tobi Leather Greaves (MY100356), also sized for children, and are available in various colors.